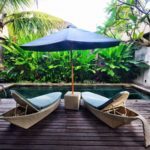 Bali Travel Diary: The Kunja Villas – Christing C.
A collective deep breath was heard when we pushed open the door to our luxurious space at The Kunja Villas. 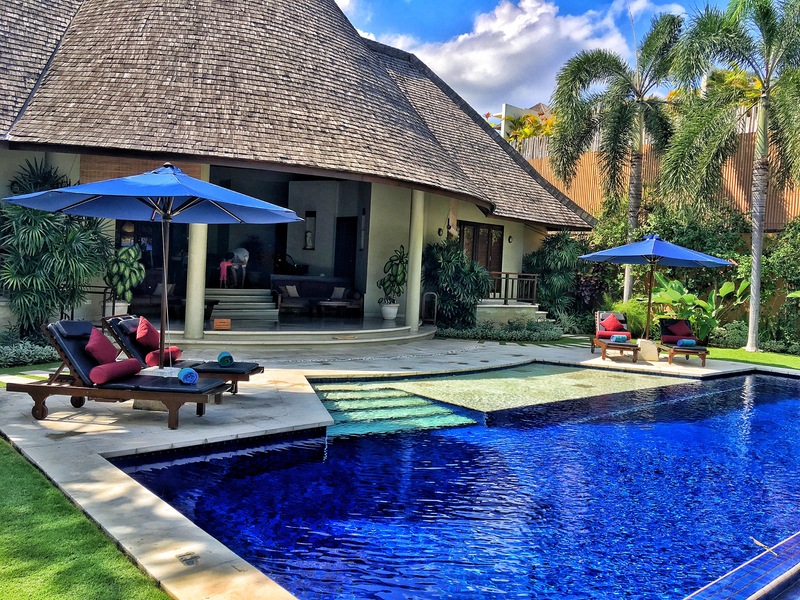 The glittering swimming pool bathed in sunshine was one of the most inviting we’ve seen and their decadent yet comfortable living spaces gave us a perfect home away from home. 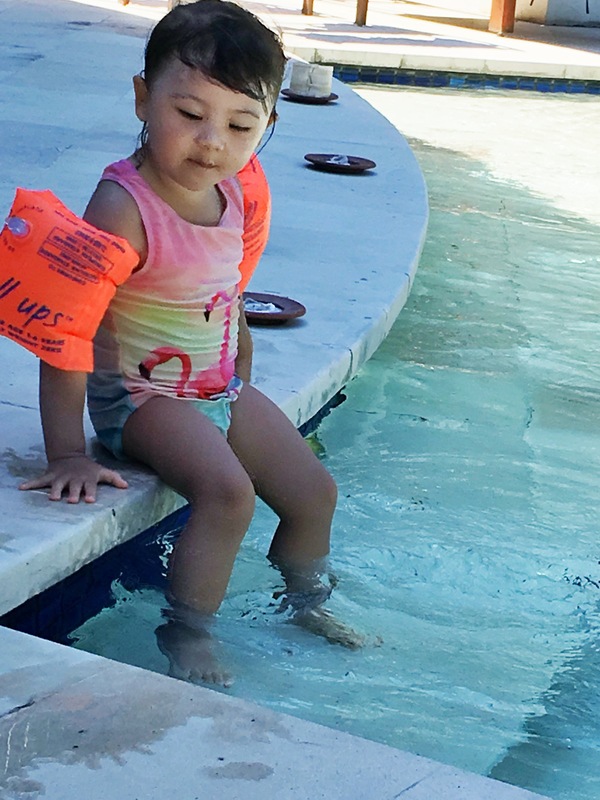 Resort and villa hopping for a month at a time can be daunting with a baby and toddler, but their fully equipped kitchen allowed us to create home cooked meals to stave off any homesick behavior and also served as a great option for delicious in villa BBQs and breakfasts. 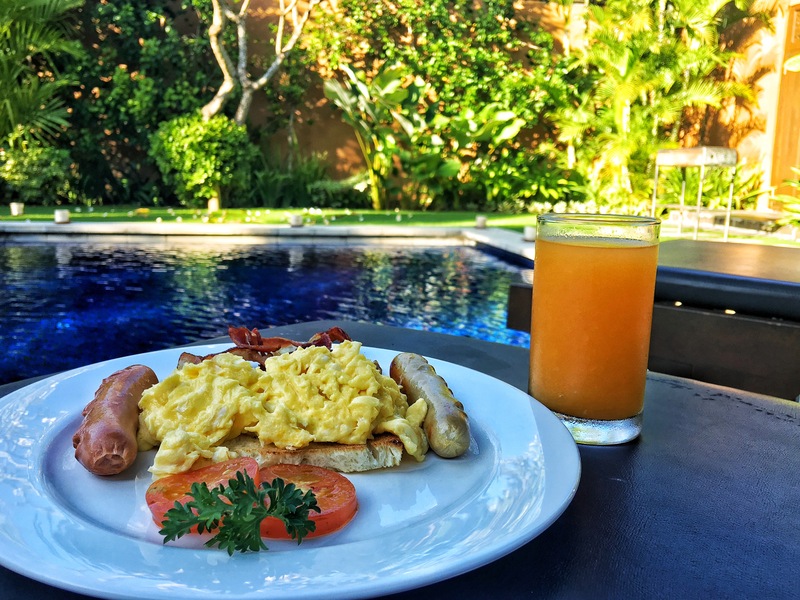 Each morning our hungry appetites were greeted with the fragrance of a made to order breakfast spread, and the kind and helpful staff made our stay as carefree as possible. 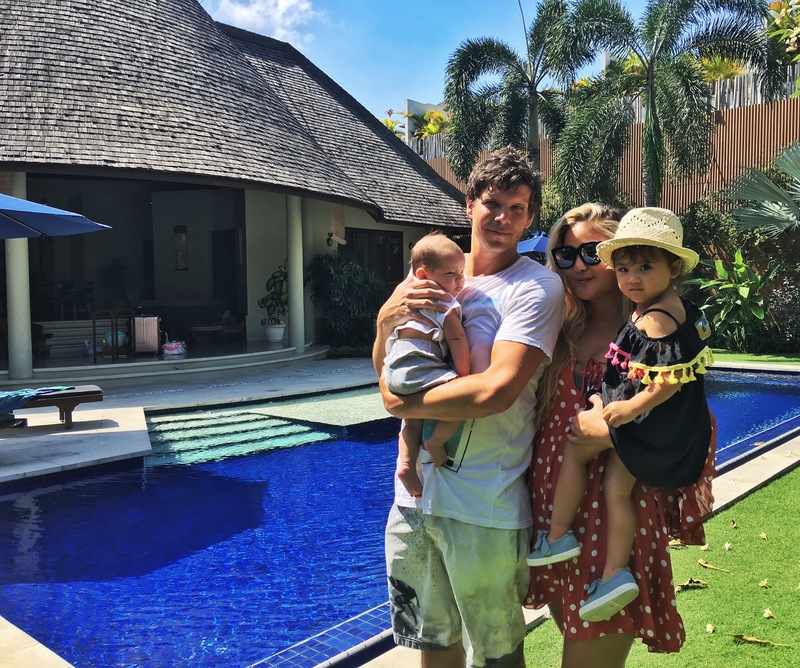 Although you feel secluded in a private sanctuary, all the lively spots of Seminyak were within easy reach through the complimentary buggy service. A perfect spot to enjoy Bali’s romantic flair with the privacy and comforts of home.